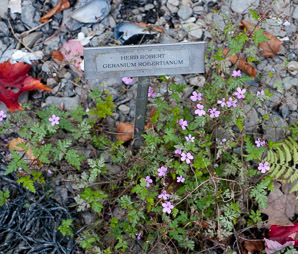 Herb robert is a native Europe, Asia, and north Africa. 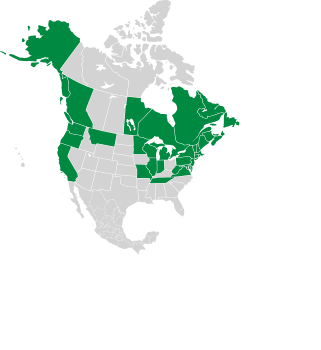 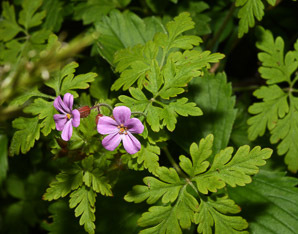 It may be native to North America as well. 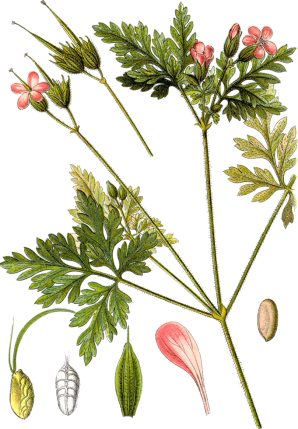 From Sturm, Johann Georg (Painter: Jacob Sturm), Deutschlands Flora in Abbildungen nach der Natur mit Beschreibungen, Nrnberg: Gedruckt auf Kosten des Verfassers, 1796. 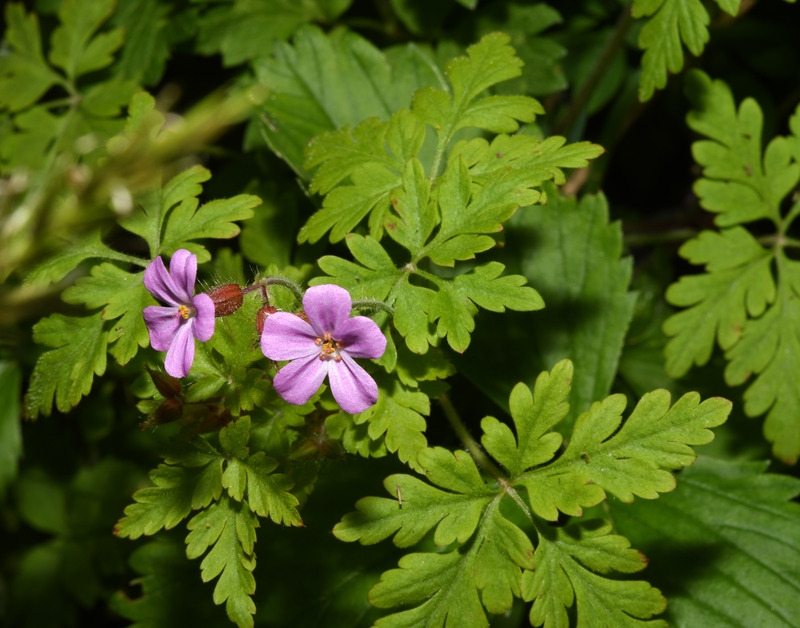 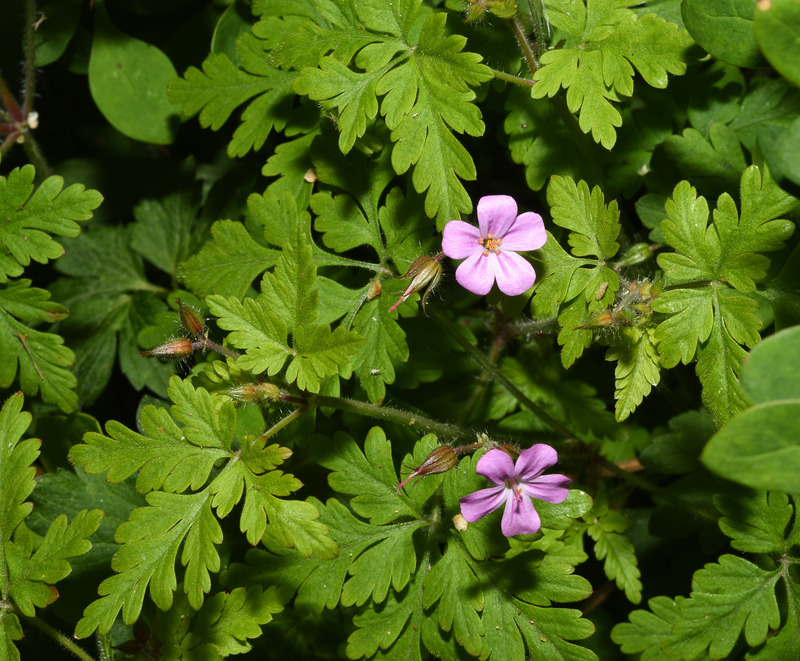 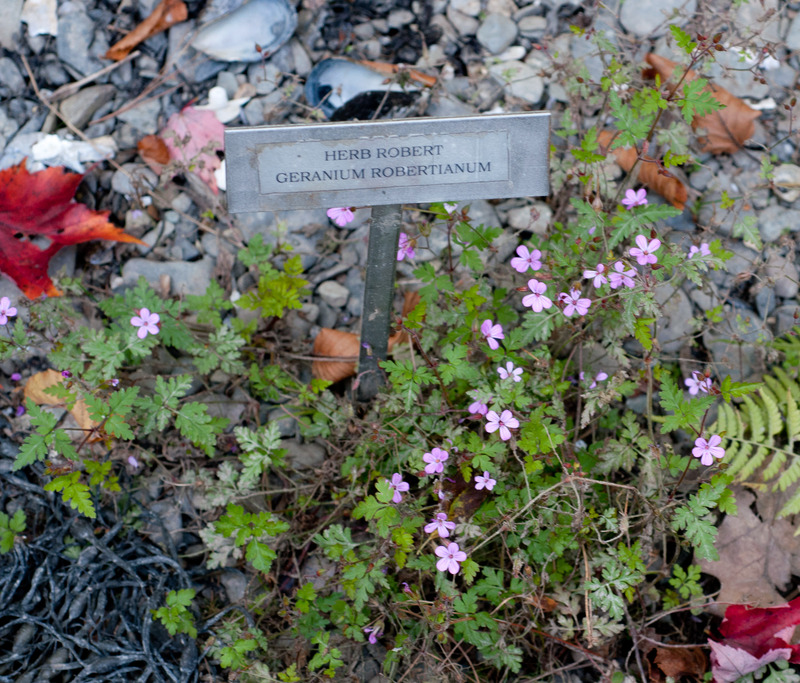 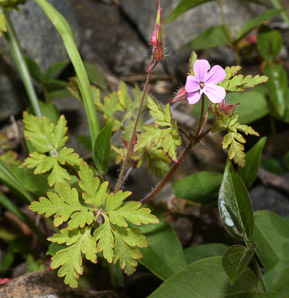 Medical: Herb robert has been used to treat nosebleeds and toothaches. Geranium robertianum description by Thomas H. Kent, last updated 12 Oct 2018.